Golden Valley Brewery Restaurant | What's To Eat Today? 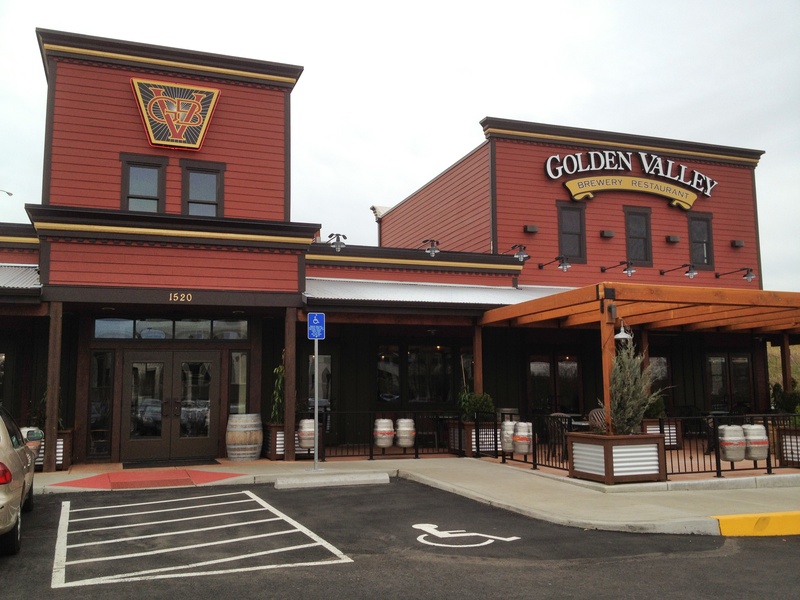 Lunch today is brought to you by my new favorite restaurant, The Golden Valley Brewery Restaurant. Not to sound too much like a commercial but I really enjoy this place! The food is delicious, the staff is friendly and helpful and the atmosphere is comfortable and nice and all the diners seem pretty happy. I’ve eaten here for lunch and I’d love to try it for happy hour or dinner. It’s got quite a varied menu. 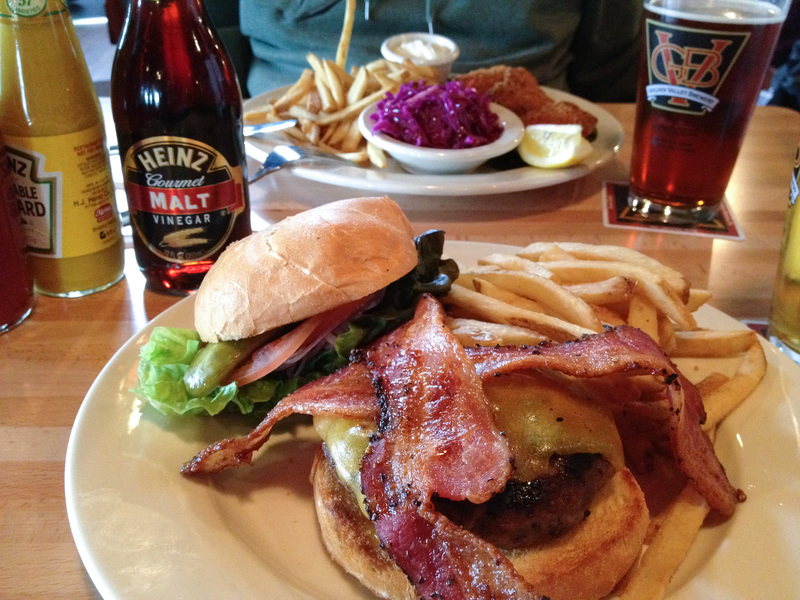 I had the Brewpub burger. Their handcrafted burgers are fresh ground, hand-formed and flame-broiled. The Natural Angus Springs beef is served on a toasted Kaiser roll with lettuce, tomato, shaved red onion and pickles. I really love the attention to detail such as shaving the onion — the paper-thin slices are so nice and delicate and the onion flavor is subtle and not overpowering. The plate in the background is the Alaskan cod fish & chips. Really tasty and deep-fried to perfection. My measure of perfection is the batter is light and crunchy and absolutely non-greasy. What a tasty looking lunch, both of them. I hope your trip home was a good one.